Have questions? Give us a call: 1-(800)-927-9390, MON-SAT 10AM-6PM EST. 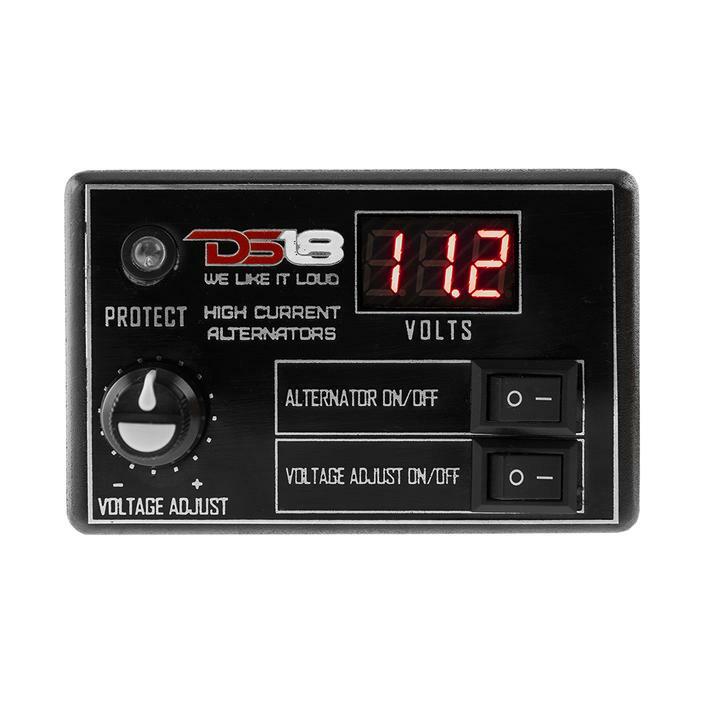 DS18 has the most powerful and affordable SPL alternators in the market and are assembled in the USA. 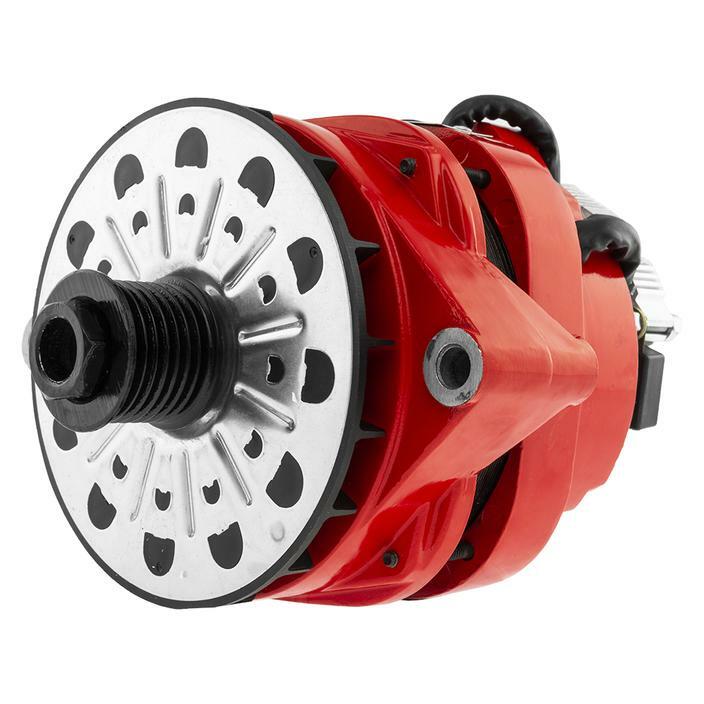 These alternators are the highest rated alternators today's technology can manufacture and are designed for competitors wishing to improve their maximum SPL. Only recommended for serious installers, competitors, and people who want to be heard by anyone within a mile radius. 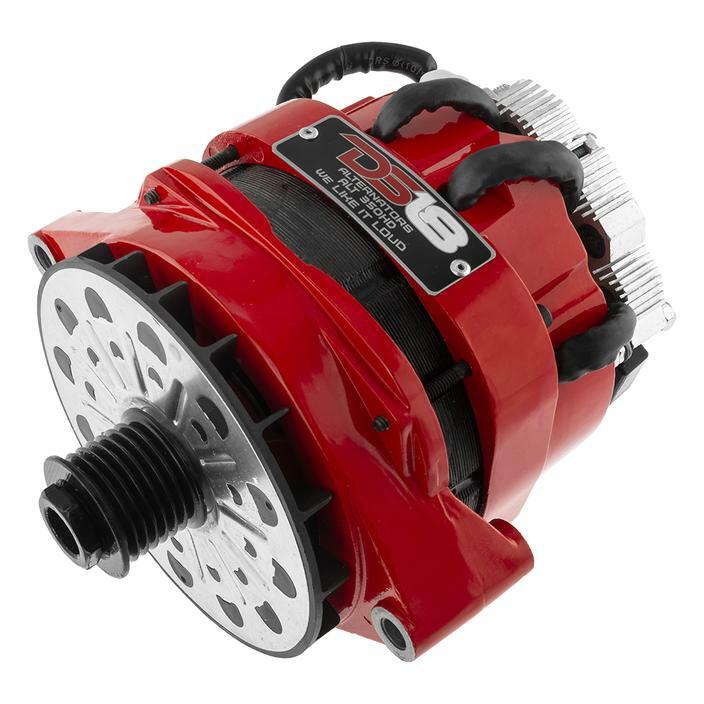 A smart alternator that reads the amperage needed and only produces what's necessary to run your system, even when the car is in idle. It uses BJT (Bipolar Junction Transistor), Mosfet, and PWM (Pulse Width Modulation) technology to control its power. 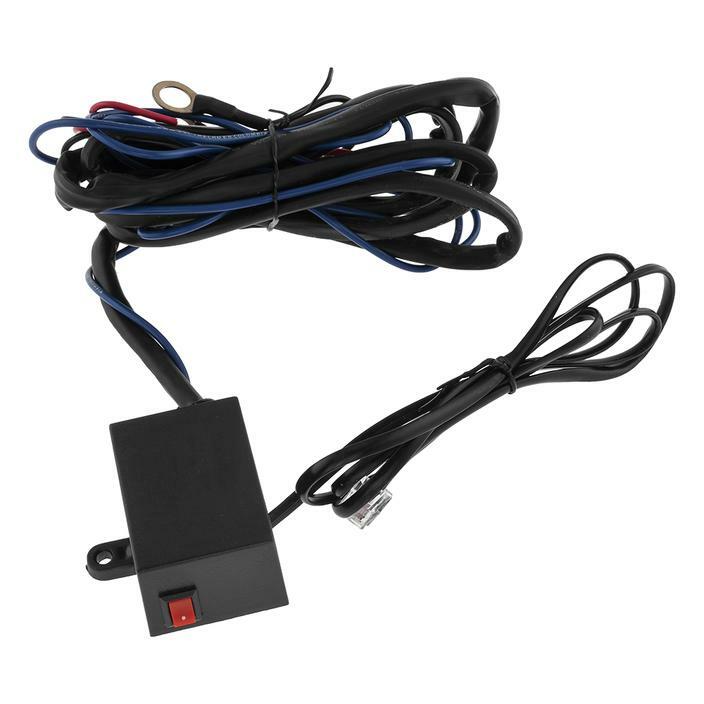 Includes an on/off switch as well as a knob that controls voltage from 14-19V shown on a digital display. Built-in temperature sensors to protect the alternator preventing their destruction. These features allow you to have full control at your fingertips. 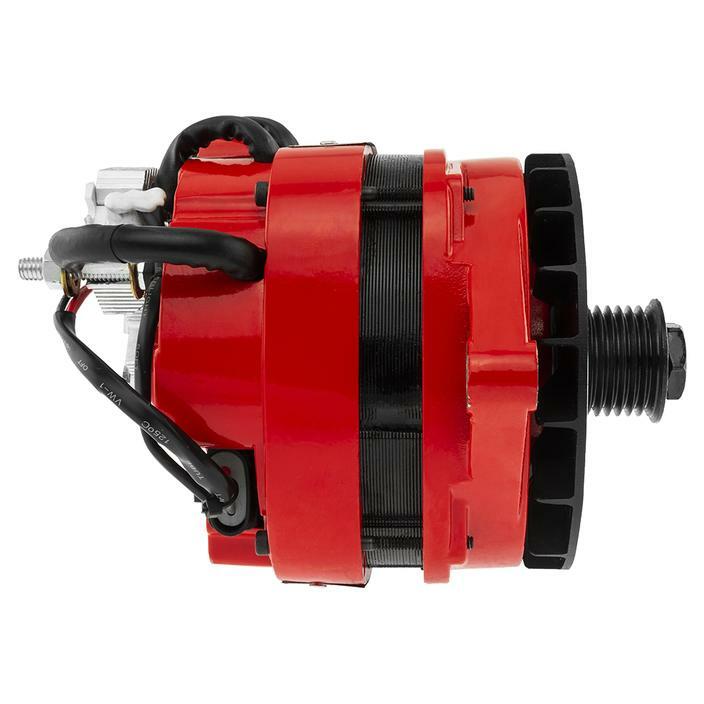 This is equipped with a heavy-duty external regulator that will shut off before allowing damage to the alternator. If this alternator fails for any reason all you have to do is replace the regulator and you'll be up and running in less than one minute. This alternator has mounting brackets (one bolt mount at 12 o'clock and one at 6 o'clock), must be modified for installation on other cars. 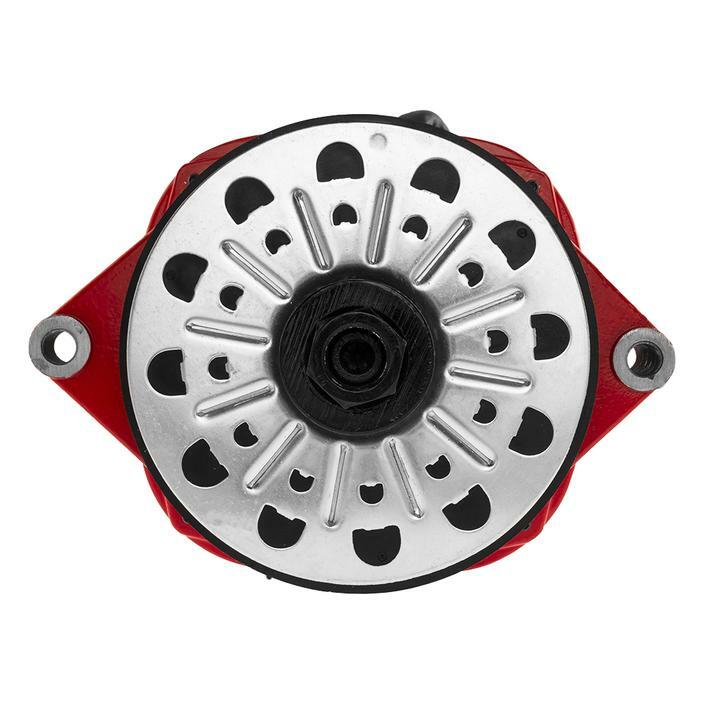 The ALT350HD was designed for SPL and car audio applications but can also be used to replace original car alternators. 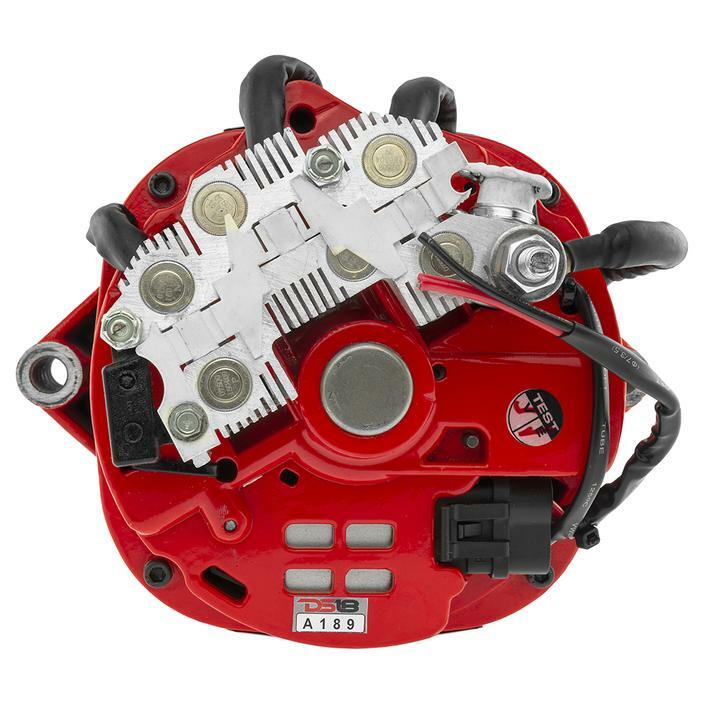 This alternator has mounting brackets (one bolt mount on 6 o'clock and one at 12 o'clock), must be modified for installation on other cars. All alternators include a limited lifetime warranty on parts and repair. Copyright DBs Car Audio. All Rights Reserved. Build An Online Store with 3DCart.